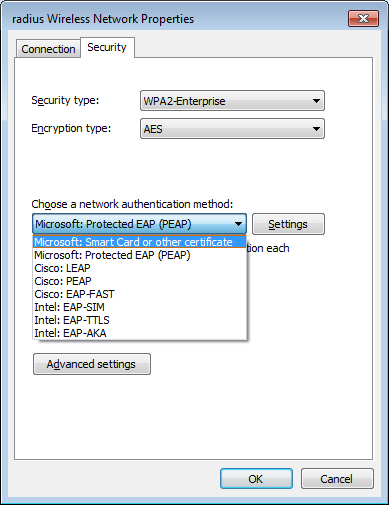 Windows native 802.1x supplicant supports only EAP-TLS and PEAP as the authentication method. You can install it even if your wireless adapter is not from Intel. Once you have installed it, you will see the following additional options.